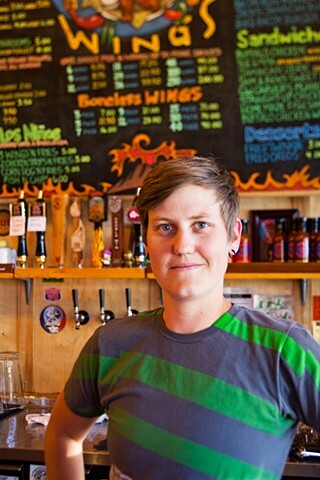 Nikki Wood has worked at the Interstate Avenue location of Fire on the Mountain in North Portland for two years. Fire on the Mountain is owned and operated by Jordan Busch and Sara Sawicki who opened this flagship location serving traditional buffalo wings and beyond, in 2005. Since then, they've added 3 more locations.